In this day and age of digital everything, it is easy to forget the inherent quality and beauty of a printed photograph. A beautifully designed and crafted wedding book is something to be treasured. A book of your wedding day becomes part of your family story, something that you can pull off the shelf in years to come, to show your children and your children’s children. As the years pass by, your book becomes an important family memento, which you may one day pass onto the next generation. When it comes to book choices and design, I believe simplicity trumps all else. It is because of this that I offer one book type, in three sizes, with a variety of cover colours to choose from. 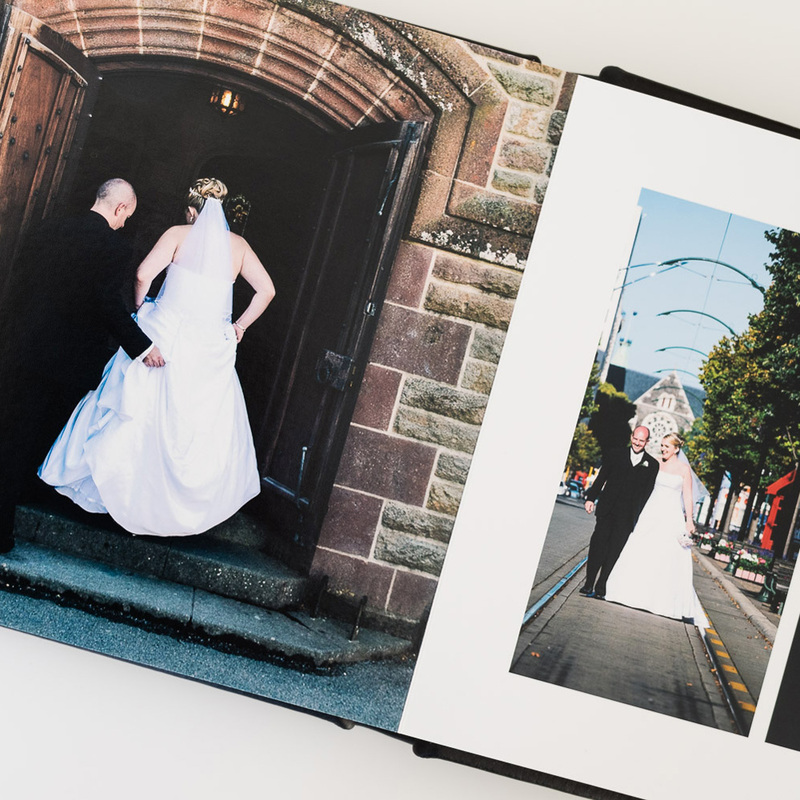 Wedding album pages are printed onto Fuji Crystal Archival photographic paper. Your photos will look fantastic. Three wedding album sizes: 8×8″, 10×10″ or 12×12″. 100% full grain natural leather covers. Seventeen cover colours to choose from. Each wedding album is made by a specialist book-maker. This makes your album truly unique. I guarantee the workmanship of your album. If there is a manufacturing defect, it will be replaced free.